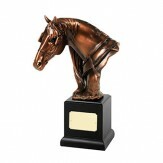 Welcome to the UK's finest online trophy store! 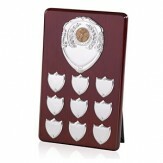 Perpetual Plaque With Shield Fronts 13"
Perpetual Plaque With Shield Fronts 8"
Perpetual Plaque With Shield Fronts 10"
Perpetual Plaque With Laurel Wreath Fronts 13" high. 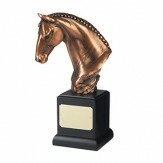 Bronze Plated Horse Head Award. 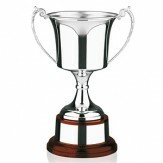 11.5"
Hallmarked Sterling Silver Trophy Cup. 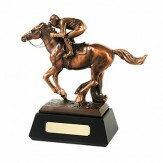 17 inches tall. 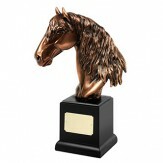 Bronze Plated Horse Head Award. 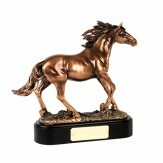 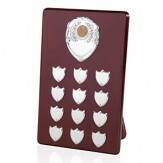 12.25"
Thebigtrophyshop.co.uk have been supplying corporate trophies and awards to businesses throughout the UK for over 50 years. 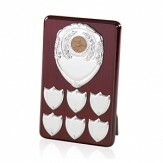 We have a high level of expertise and service to complement our huge range of corporate awards. 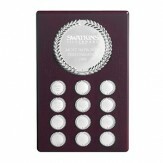 Our engraving capabilites are second to none and we are one of the few suppliers who specialise in glass and crystal trophy engraving. 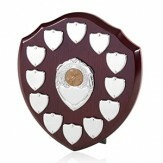 Whether you need an employee of the month trophy or something to suit a large presentation you are sure to find something suitable in our range. 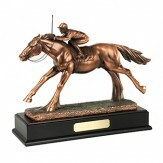 If not, just give us a call and we'll be happy to advise and help every step of the way.